Say hello to new year, we showcase cuisines from around the world to street food favorites across Vietnam with our special themed buffet, set menu or exclusive offers. Let’s explore the special cuisine and gather your family and friends to Pullman Danang for special occasions in the beginning of the Year 2019. Culinary discoveries are made every week at our Saturday International Buffet. Gather your family and friends for this special celebration, with a wide selection of sumptuous seafood, mouth-watering meats, fresh salads and delectable desserts. A series of live cooking stations will add to the sense of excitement. Every month our global gastronomic journey will dock in another destination, as we showcase cuisines from around the world. Gather your family in the traditional Italian style and enjoy the finest food from this captivating country. 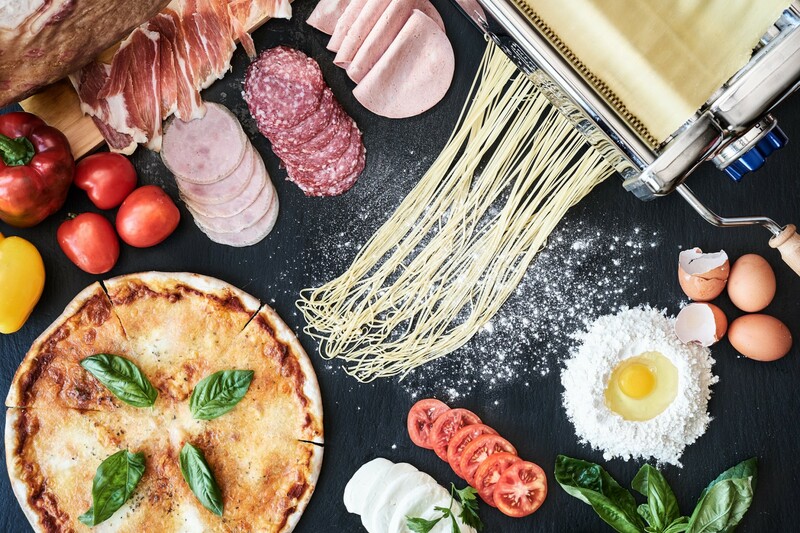 Enjoy an extravagant spread of Italian cold cuts and salami, plus handmade pizzas, an extensive pasta station and homemade ravioli, all accompanied by smooth Italian wines. A bowl of gelato is the perfect way to end this Italian buffet station. Celebrate Tết, Vietnam’s New Year holidays, with street food favorites across Vietnam. Enjoy hot bowls of pho, sizzling grilled meats, Vietnamese pancakes, spring rolls and so much more, along with local drinks such as herbal tea and sugar cane juice. Live Vietnamese music and traditional “ao dai” costumes will add to the atmosphere! Vive la France, the spiritual home of gastronomy! Our sumptuous French feast features an array of classical dishes, including coq au vin, confit duck legs, sirloin steak with Béarnaise sauce, French onion soup and more, along with fine French wines. Guests can also indulge in a selection of French cheeses and patisserie-style desserts. Bon appétit! 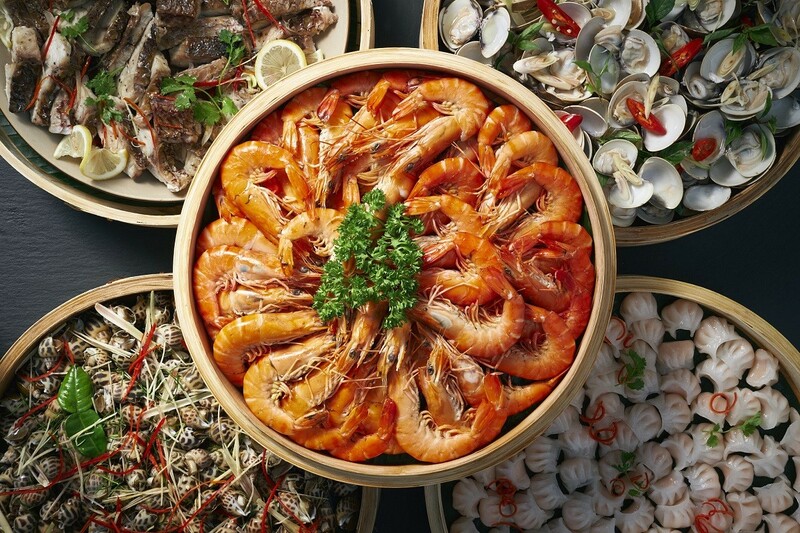 Sample the freshest Vietnamese seafood every Sunday with our bountiful barbecue buffet. Guests can choose from a wide range of grilled specialties, including prawns, fish and squid, plus delectable meats and a series of themed stations. Take a stroll through our authentic Asian seafood marketplace. Savor a wide selection of fresh and fragrant marine delicacies, including a bamboo basket full of steamed prawns, dumplings, Chinese-style fish and much more. Pile your plate high and enjoy this fantastic weekend feast with your loved ones. Gather your family and friends to celebrate Tết, Vietnam’s New Year holidays. Our expert chefs will serve up a wide selection of authentic local dishes for this annual feast, including marinated meats, fresh seafood and other sumptuous local specialties, all cooked à la minute overlooking the East Sea. Chuc Mung Nam Moi! 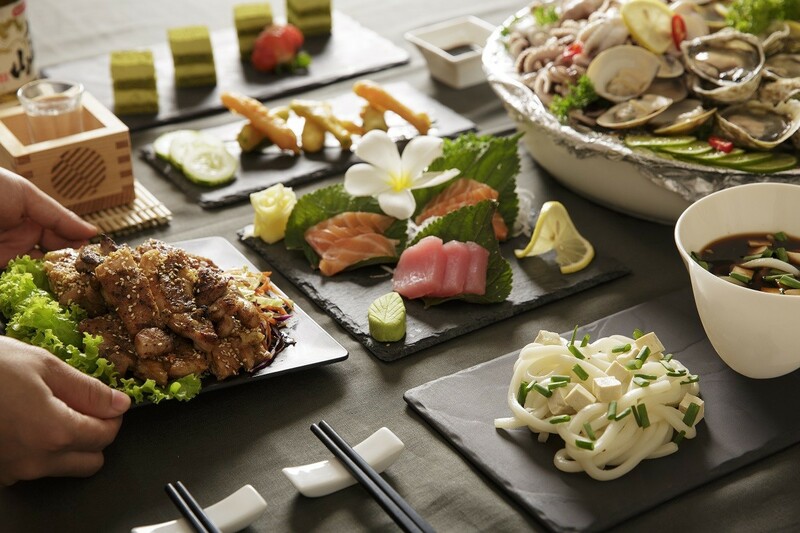 Discover the fresh flavors of Japan with our special themed buffet, including a wide range of authentic dishes such as fresh sashimi, Japanese curries, braised pork, miso soup, vegetable tempura, teriyaki chicken and udon noodles. Then end your feast with a choice of sweet treats, including green tea tiramisu and mochi rice cakes. *Accor Plus Members will be applied the standard benefits. We’re kicking off our 2019 Bubbles, Beats & Brunch season with a special Tropical Summer Party! 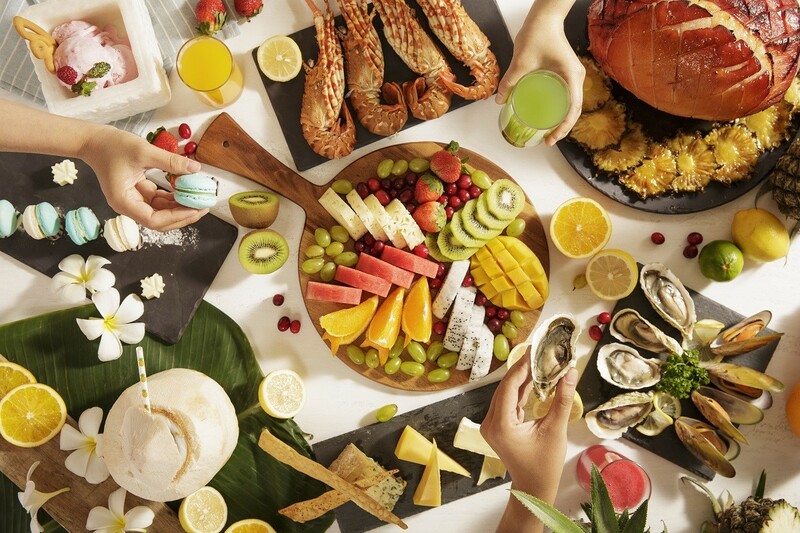 Our first Sunday brunch of the year will feature all your favorite treats including fresh seafood, meats, selections of premium cheese plus tropical cocktails and exotic jungle-themed décor. DJ Polo will keep the party going all afternoon, as the chilled-out vibe of Ibiza’s beach clubs arrives in Vietnam. Treat your partner to a delectable four-course candlelit dinner this Valentine’s Day in beautiful city Danang- Central Vietnam, paired with sparkling wine. 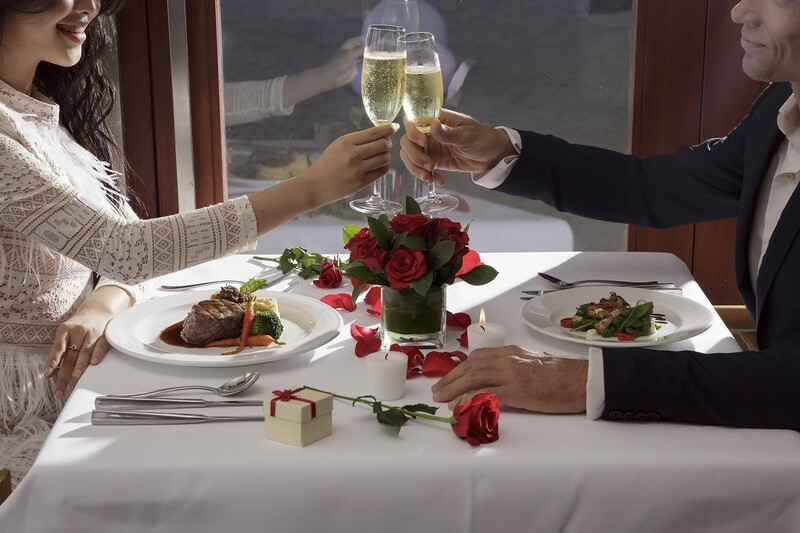 Fan the flames of romance at a cozy table for two, either indoors or on our private beach. Our chefs have created an indulgent European menu that includes P a r m a h a m s a l a d w i t h f r e s h mozzarella, roasted carrot and pumpkin soup, and duo of Australian beef, finished with luxurious molten chocolate cake. This romantic occasion will include a gift and flowers for the lady, plus a photo as a memento of your enchanting evening. Let our expert chefs take you on a gastronomic tour of France with this four-course fine dining experience. Following an amuse-bouche of foie gras, guests can enjoy an entrée of tuna tartare and spicy lobster bisque. 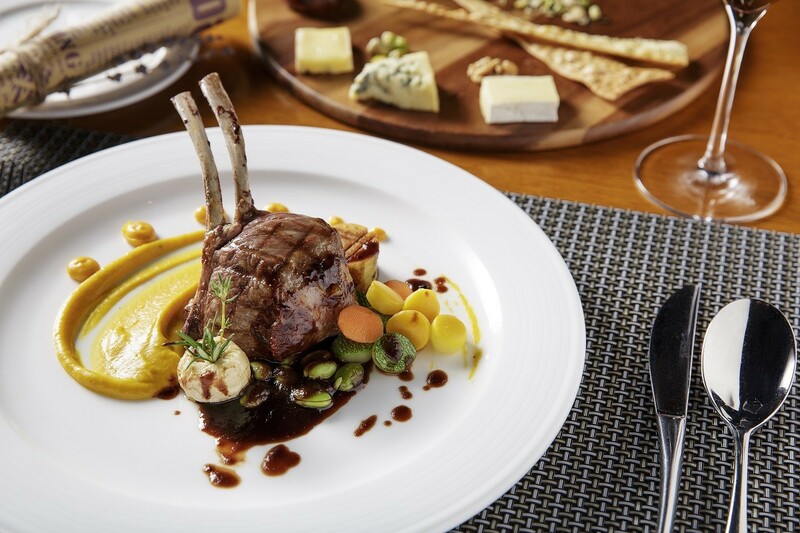 Choose from succulent sous-vide salmon or grilled rack of lamb for the main course, before ending this Gallic feast with French cheeses and a trio of classic desserts: crème brûlée, macarons and chocolate cake. A sparkling wine pairing package is available to enhance your enjoyment of this exquisite French culinary journey. 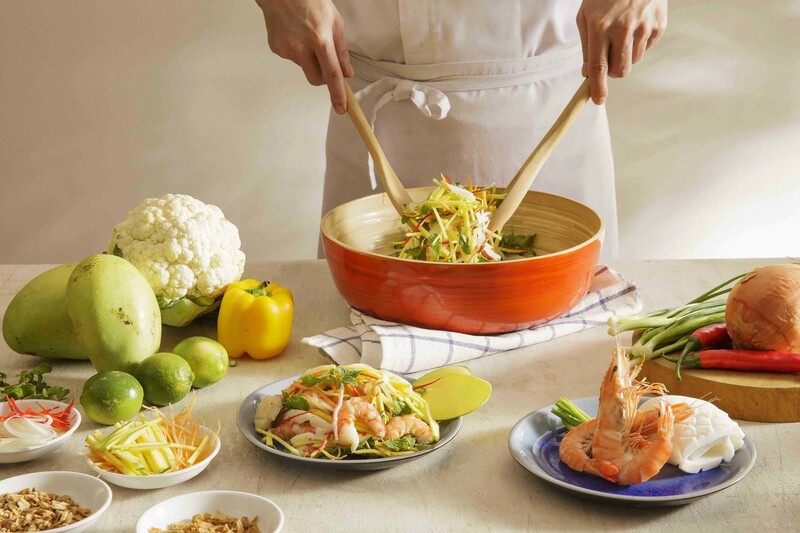 Try gỏi xoài – Vietnam’s famous fresh green mango salad! Our kitchen team will prepare and finish this fresh seafood, herbs and mango salad at your table. 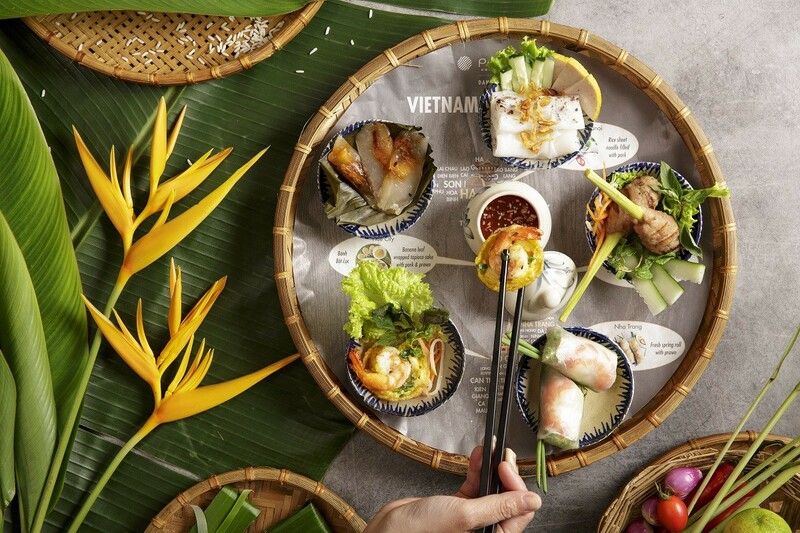 Take a culinary journey through Vietnam with our innovative new tapas selection. Five of the most famous dishes from the various regions of the country are presented on a map of Vietnam. 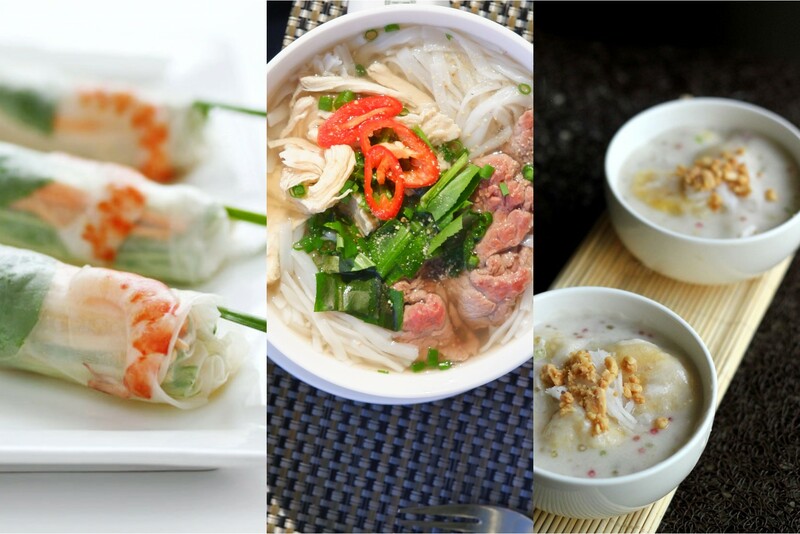 Traveling from north to south, diners will sample bitesized delicacies from Hanoi – rice sheet noodle filled with pork, Hue – banana leaf wrapped tapioca cake with pork & prawn , Danang – pork mince on lemongrass, Nha Trang – fresh spring roll with prawn and Saigon – crispy pancakes. Savor the authentic flavors of Vietnam with our tempting three-course menu. Start with a trio of Vietnamese spring rolls, served fresh, deep-fried and wrapped in leaves, following by a choice of main courses – a hot, aromatic bowl of pho (noodle soup) or fried rice with fresh seafood. Dessert is banana sago sweet soup. Trick your taste buds with our spectacular flaming ice cream ball! 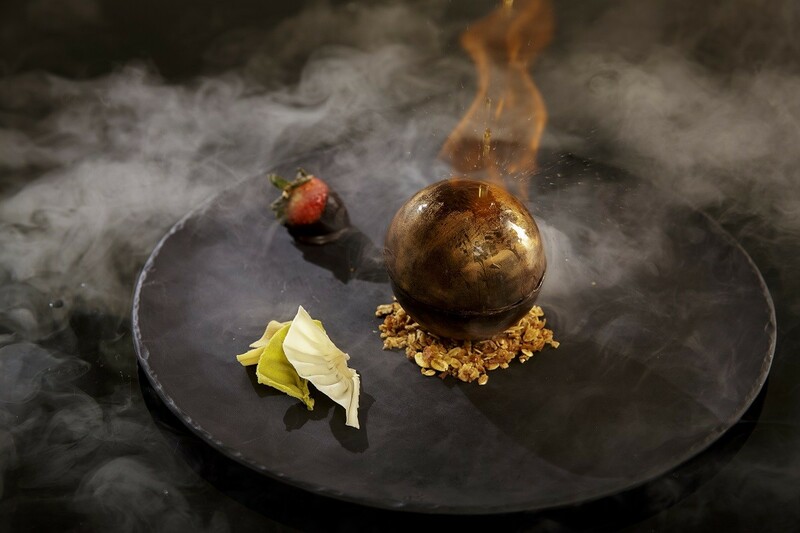 Served on a trolley at the table, this shining sphere of chocolate is coated with brandy and ignited, creating a spectacular display of culinary theater. Watch as the flames melt the chocolate, revealing the smooth chocolate ice cream hidden inside. As the air becomes cooler, why not warm yourself up with a cocktail? Harnessing the comforting qualities of whiskey, ginger and honey, our Whisky Snowball is a wonderful indulgence for a cold day. 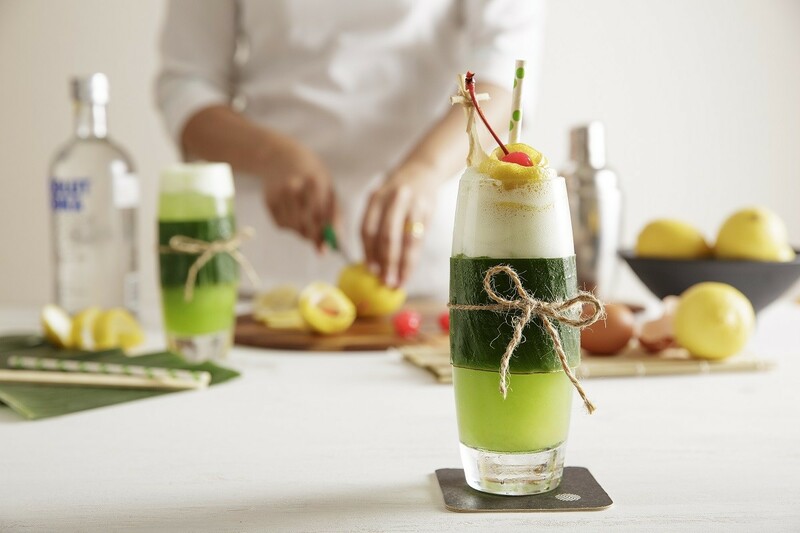 Discover the unique taste of cốm, green Vietnamese rice, with our unique cocktail. We recreate its distinctive hue with melon liqueur and kiwi juice, and its sweet, nutty flavor with vanilla syrup.